Turn your kid into a mini chef in a flash! 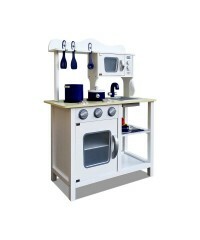 This sweet looking wooden kitchen set, comes with col..
Get this sophisticated wooden white kitchen for your little master chef! Make their dream come t.. 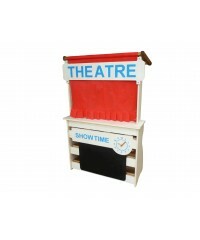 Enjoy many hours of fun playing with this 2 In 1 Child Shop and Theatre. Looking for a child sh.. 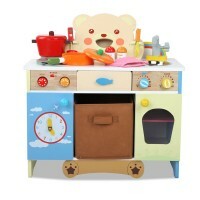 Painted with bright colours and an adorable bear design, our Kitchen Playset is definitely one o..
A beautiful bright tin tea set. 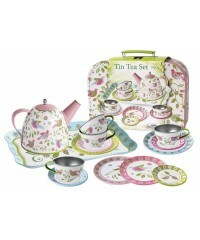 It comes with cups and saucers, side plates, teapot and a carryi.. Play and learn. That's just about the best way to teach our young ones to develop life-skills wh.. Featuring a well-crafted and beautifully detailed wooden kitchen set to inspire culinary masterp..
Home sweet home. And for your kids, it definitely is with our Keezi Wooden Playhouse. Built from.. 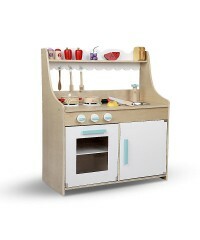 Kids these days can enjoy their playtime with this incredible Wooden Kitchen Playset that contai.. 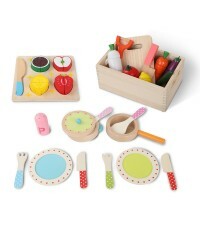 This pretend play set is perfect for kids to perform cooking role plays with friends and parents.. 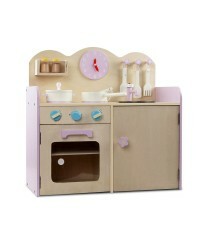 Featuring a colourful kitchen and supermarket pretend play set with 59pcs accessories, this 2 in..